A serology blood test is performed to detect and measure the levels of antibodies as a result of exposure to a particular bacteria or virus. When a person is exposed to bacteria or viruses (antigens), their body’s immune system produces specific antibodies against the organism. Antibody levels help physicians determine whether an infection occurred recently or years ago. There are several types of serological tests that can effectively detect such antibodies. 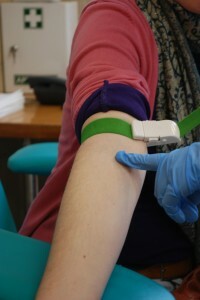 There are also several serology techniques that can be used depending on the antibodies being studied. These include: ELISA, agglutination, precipitation, complement-fixation, and fluorescent antibodies. ELISA, or enzyme-linked immunosorbent assay, is a test that uses antibodies and color change to identify a substance. ELISA is a popular format of “wet-lab” type analytic biochemistry assay that uses a solid-phase enzyme immunoassay (EIA) to detect the presence of a substance, usually an antigen, in a liquid sample or wet sample. Serological testing is particularly helpful in the diagnosis of viral diseases such influenza and measles, as well as of infectious diseases like mononucleosis and rheumatoid arthritis. Provide effective serology tests to your patients when you choose tests from Diagnostic Automation/Cortez Diagnostics, Inc. Our business provides you with a huge array of diagnostic tests, including serological testing supplies used to detect Mononucleosis. If you have any questions about this or any of our other products, please feel free to call us at (818) 591-3030. A serology blood test is performed to detect and measure the levels of antibodies as a result of exposure to a particular bacteria or virus. When a person is exposed to bacteria or viruses (antigens), their body’s immune system produces specific antibodies against the organism. Different types of serologic tests can diagnose various disease conditions; however, serology tests have one thing in common: they all focus on proteins made by the immune system. This vital body system helps keep you healthy by destroying foreign invaders that can make you ill. Your body produces antibodies in response to antigens. If testing shows no antibodies, it indicates you don’t have a current or past infection. Results that show there are no antibodies in the blood sample are normal. Antibodies in the blood sample often mean you’ve had an immune system response to a specific antigen from either a current or a past exposure to a disease or foreign protein. Are you a doctor’s office, hospital or medical clinic looking for reliable serology test kits? At RapidTest.com, our tests are able to properly identify the antibodies in your patients serum, giving you a clear and concise analysis of what’s going on. Serology tests are conducted for the scientific study of blood serum and other bodily fluids. 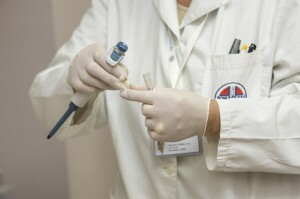 Serology tests are performed for several purposes. One use of a Serology test is for diagnostic purposes when an infection is suspected. A Serology test can identify certain antibodies in serum that are formed in response to an infection against foreign proteins (for example from blood transfusion), or to one’s own proteins (for instance, autoimmune disease). A serology test can also determine if there has ever been exposure to a particular microorganism in the past, not necessarily indicating a current infection. A serology test additionally can be employed to detect current active infection, or past infection, in people who are at risk for reactivation of infection (such people with suppressed immune systems, organ transplants, HIV, Syphilis, etc.). In addition, Serology tests are often used by epidemiologists to determine the prevalence of a disease in a certain segment of population. These serology tests are sometimes performed by random, anonymous sampling. Serology tests are also important tools that may be used forensically, specifically to reveal a piece of evidence for a crime report, or court case. Los Angeles-based Diagnostic Automation/Cortez Diagnostics, Inc. is pleased to offer a wide range of serology tests for the quick and reliable measurement of specific antibodies in human serum samples. Some of these serology tests are latex agglutination tests (latex fixation) which use latex particles as passive carriers where particles clump together following the addition of the antibody on the serology test. • One such serology test is the Latex ASO Serology Test which is a serology test intended for the qualitative and semi-quantitative measurement of antibodies to streptococcal exoenzymes in human serum. Packaged in convenient boxes of 50 serology tests, this (antistreptolysin O) ASO serology test is easy to use and cost effective for hospitals, doctors’ offices, and laboratories worldwide who need quick and easy test results for individual patients, or testing for a large segment of the population. • Another popular serology test is the CRP Serology Test that is used for the qualitative and semi-quantitative measurement of C-reactive protein in human serum. This simple and easy-to-use CRP Serology Test is based on the principle of the latex agglutination assay described above and detects protein markers for inflammation in the body. The major advantage of this serology test is the rapid three (3) minute reaction time. Packaged in boxes each of 100 serology tests, this top quality serology test is convenient for any testing site diagnosing patients with acute and chronic inflammatory conditions. • A third latex serology test is the Mono Serology Test which is intended to be used for the qualitative and semi-quantitative determination of human heterophile antibodies associated with Infectious Mononucleosis (IM). Ordering these serology tests is easy and convenient. The Mono Serology Tests are distributed in boxes of 50 serology tests and are to be applied in-vitro diagnostic use only. These Mono Serology Tests are known for their high sensitivity and specificity. • The fourth latex serology test is entitled the RF Serology Test which is intended for the qualitative and semi-quantitative measurement of RF (rheumatoid factor) in human serum. The frequent occurrence of rheumatoid factors in rheumatoid arthritis makes them useful for diagnoses, like those employed by this serology test, and subsequent monitoring of the disease. The major advantage of this RF Serology Test is rapid performance (3 minute reaction time) and lack of heterophile antibody interference. Interested parties can obtain these useful and reliable serology test kits each containing 100 boxes. • The fifth latex serology test is the SLE Serology Test which is used as an aid in the diagnosis of Systemic Lupus Erythematosus (SLE) through the detection and quantitation of serum anti nucleoprotein factors associated with SLE. The principle of the SLE Serology Test is based on the agglutination reaction between latex particles coated with DNP being brought into contact with a serum, which contains antinuclear antibodies. A visible agglutination on the serology test indicates a positive reaction. The reaction time for this occurrence on this serology test is one minute. These top quality serology test kits are packaged in 50 boxes each kit. The last superior quality serology test manufactured and distributed by Diagnostic Automation/Cortez Diagnostics, Inc. is the convenient and highly effective RPR Serology Test which is a Rapid Plasma Reagin –RPR Serology Test that is a non-treponemal flockulation test used for qualitative and semi-quantitative determination of reagin antibodies in serum or plasma from persons with syphilis. The antigen used in the serology test kit is a modification of VDRL antigen, which contains micro-particulate charcoal to enhance the visual difference between a positive and negative result. If a specimen on this serology test contains reagin, flocculation occurs with a coaglutination of carbon particles contained in the antigen suspension, which appears as black clumps. Non-reactive specimens on the serology test appear as an even light gray homogenous suspension. These safe and cost-effective serology test kits are distributed in packages of 100 or 500 boxes, and are for in-vitro diagnostic use only. Reactive RPR Serology test specimens should be subjected to further confirmation testing. Well, there they are — our products for serology tests. Diagnostic Automation/Cortez Diagnostics, Inc. in its continual endeavor to provide top quality products to laboratories, hospitals, doctors’ offices, health clinics, law enforcement facilities, judicial courts, and other interested sites around the world, is proud to manufacture and distribute such superior products that help diagnose and subsequently aid in a line of treatment for the health and welfare of citizens around the globe. For more information about these serology tests or any other products offered by Diagnostic Automation/Cortez Diagnostics, Inc. please contact our Customer Service Department.